18 % VAT, 10 % City tax, not included. Rates are based on per person. All canceled reservations received 91 or more days prior to arrival are subject to a 10% cancellation penalty. Reservations canceled within 90 days of the scheduled arrival date are subject to a 100% penalty and are responsible for the entire stay and will forfeit all payments. 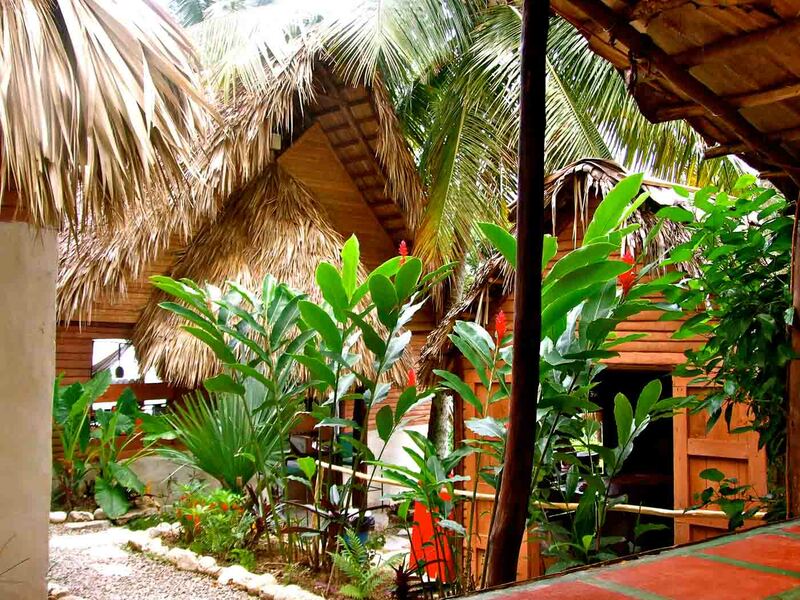 Tubagua Plantation Eco Village is the ideal gateway for independent travel in the Dominican Republic. Located in the dramatic Cordillera Septentrional mountain range that runs the length of the Dominican north coast, Tubagua is surrounded by pure nature yet conveniently close to everything, only 20 minutes from Puerto Plata, its international airport and beaches. Tubagua Plantation Eco Lodge is also close to Santiago, the DR’s second largest city, located an hour away via the scenic “Ruta Panoramica” mountain highway (Rte. 25). Santiago is a city of one million people, situated in the fertile Cibao Valley and the heart of Dominican Republic tobacco country. Located midway between Santiago and Tubagua Plantation Eco Village are the amber mines from which some of the Dominican Republic’s finest amber comes. A trip to the amber mines makes for a fascinating day trip for visitors to Tubagua. Tubagua Eco Lodge is known for excellent home-cooked meals and helpful owners who readily assist their guests with their travel plans throughout the Dominican Republic. A perfectly romantic setting, this spacious cottage features a comfortable four-poster bed, a veranda and a private bathroom with hot shower. "Robinson Crusoe"-style palapas look out over the garden with a view of the ocean and coast. Canvas walls and a thatch roof enclose a queen-size bed downstairs and two single beds on the upper level. A private bathroom is steps away, equipped with hot shower. A private wooden bridge provides access to the rooms in the upper section of the long house. Bathroom facilities are just outside the door of each room. These rooms sleep up to four with single or queen beds. All incidentals including alcohol, transportation, spa services and activities are billed appropriately and additionally.